In Business for 26 years, this Well-Established Family Business has an Excellent Reputation with Consistent Annual Revenue. Operates in high-end MN Lakes area, offering full range of eco-friendly and sustainable services to a loyal client base. 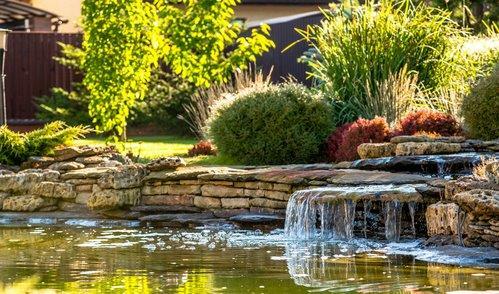 Specializing in authentic landscape design & installation, homeowners property & lawn maintenance, includes retail operation for hardscape & softscape materials, including garden center. Business includes a full line of up to date & well-maintained equipment. Available with or without Real Estate. Owners offer multiple options on Real Estate, including lease, lease with option to buy, and sale. The business is fully staffed and the partners are available for full training and transition. The 25+ year history and highly visible location in the heart of a destination lakes area has yielded consistent demand for their services. Exquisite year-round lake homes & vacation cabins have been mainstay clientele that have kept them busy year after year. The company enjoys little competition. They have earned their excellent reputation by being one of a few area companies that provides design, installation, and ongoing lawn and snow maintenance. For the acquirer, this business is expandable, both geographically & with retail product line expansion.